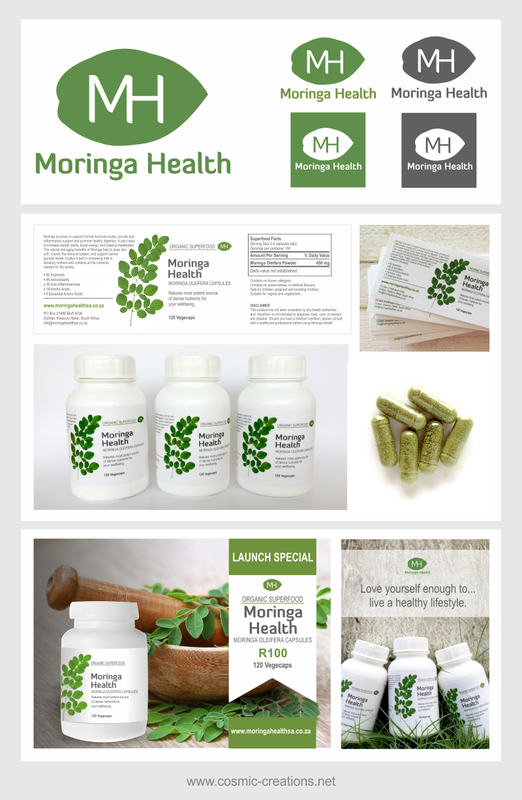 Today we are sharing another branding project finished recently for Moringa Health SA. This one was Shanee's baby and she did most of the work. The logo is a moringa leaf with MH (for Moringa Health) superimposed onto it. Also included in this project was a bottle label, Facebook cover, ads and some inspirational quotes, some product photography, and setup of a MailChimp account with newsletter sign-up. Moringa is a superfood with an amazing track-record. Visit their website for more info and get yourself some.